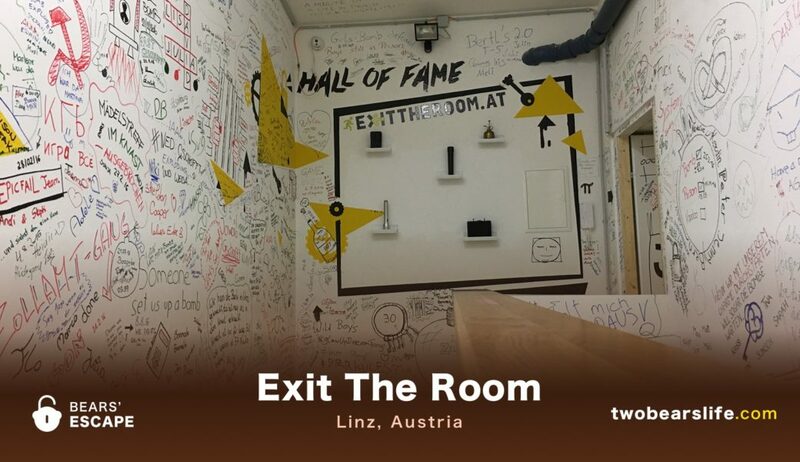 Exit The Room Linz is the second of the two Escape Room Companies we have in our home town Linz, Austria. 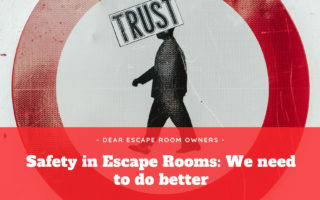 The first one we have already reviewed (Check out our Review of Masters of Escape in Linz >>), now it is time to share the experiences we had in Exit The Room Linz. They just opened the new room “Voodoo School”, which prompted us to visit them again. Exit The Room Linz has three rooms in total – the newest one being “Voodoo School”. We did all of them, but with some time in between. As always, I will give you some details about each room without giving away anything that would spoil your experience, if you intend to check it out for yourself. We went into this “Disarm the Bomb” Game with a lot of motivation and energy – it may have been a little too much. The Bomb is a classic in the Escape Room Genre, so we have done similar rooms like this before (and after). The version of Exit The Room Linz does not stand out here in an especially good or bad way, the production is okay and the architecture of the basement is a nice fit for this room. As a team, we struggled with this room quite a bit though. Looking back, it may have been to our own disadvantage that we didn’t want to ask for clues too soon, but got confused with all the different items that were part of the game. As a result, we didn’t manage to finish the room in time. 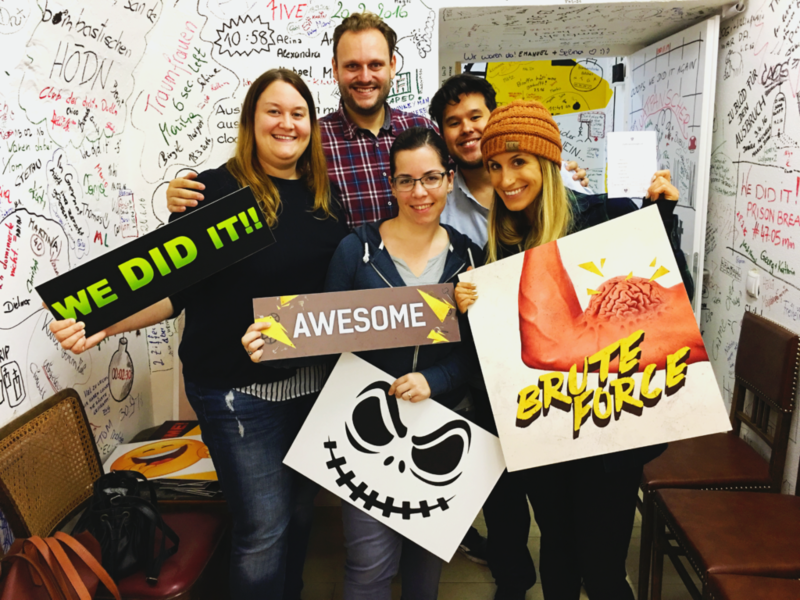 Not finishing an Escape Game always leaves a sour taste, but we still had a good time. Voodoo School is the newest room of Exit The Room Linz and we were super excited about it. The start is actually cool since we got a little bit of an introduction story with the information about the school and what our goal in the game would be. Although we struggled with the gameflow (because we missed some obvious clues), the game is actually set up in a very linear way. Which means the bigger the group, the more people hover over the same problem. Most of the game is built in a “Solve riddle A, than you can continue with riddle B” way. 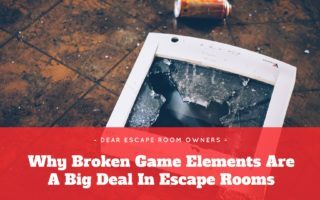 The funny thing is, this would have helped us in the Bomb room, but since we already had way more experience when we did the Vodoo School, the general feeling was that our group of five was too big for this Escape Game. The room itself focuses more on the aspect of “School” than on “Voodoo”, which was a little bit disappointing to us. In the end, we finished it in time, but we also felt like the room had unfulfilled potential. 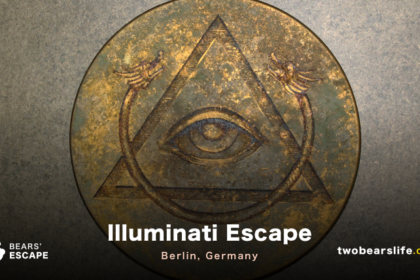 The Prison game is actually the first room we did in Exit The Room Linz and the concept is an Escape Room Classic. This Prison story takes place around the time of World War Two. The premise is simple: you are in prison, there are no guards (right now), try to find the way out. The production of the game is okay, the architecture of the building lends itself well to the scenario. The gameflow worked fine, we needed no hint for this room and we made it out in a really good time. All in all we had a really good time in the Prison Escape Game. Exit The Room in Linz is a hard to rate for us because we did their rooms quite some apart and their rooms differ in quality. Bomb was a struggle, since we did not finish in time and had some problems with the overall flow. 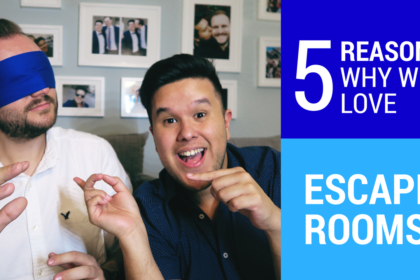 Voodoo School was sadly disappointing to us since there were hardly any Voodoo elements in the game that were actually relevant to the Escape Game itself and we felt it was more appropriate for a group of two to four people. But we had a really great time in Prison. The game masters have all been nice. There was no problem with playing any of the games in English and you can buy a voucher for your next game to save some good money, which is cool. Sadly not a “must see” but if you live in or close to Linz and want to do something different and new – absolutely go for it. The location is good – pretty central and close to the tram. The only problem could be to find free parking close-by, depending on the hour. On the other hand, there is a parking garage really close. The team was nice and had no problem with speaking english. But since there seems to be only one game master for all three rooms present at each time, the tips you get are not always on point. 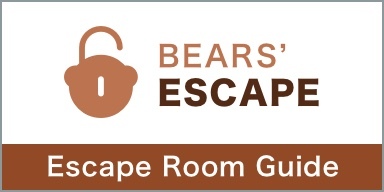 The production of the rooms is a little bit old school, but totally on-par with the Escape Room standards in Austria. 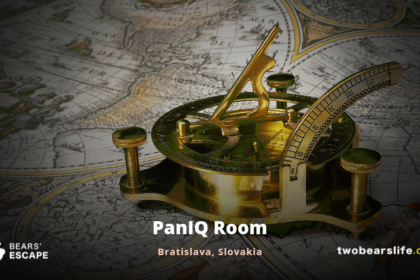 Escape The Room Linz is definitely worth it for Escape Room newbies and people who just want to have a good time and want to try something new. Experienced Players could be a little bit disappointed.